Health & BeautyTrec Omega 3-6-9 - 60 kaps. TREC OMEGA 3-6-9 is a high quality complex of mono- and polyunsaturated fatty acids derived from the most valuable natural resources. The active components of the preparation support the functioning of the cardiovascular, nervous and endocrine systems, as well as ensure the proper course of metabolic processes. 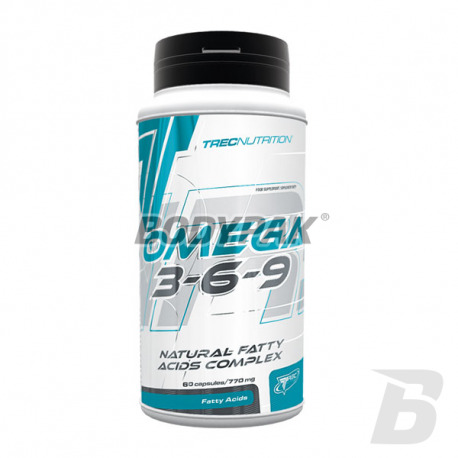 TREC OMEGA 3-6-9 contains the essential fatty acids from the omega, which support the body's ability to exercise and accelerate recovery after training, so should be a necessary part of the diet of any athlete. TREC OMEGA 3-6-9 is a concentrated formulation containing the composition of the most important fatty acids in carefully chosen proportions. Fatty acids intensify production of compounds having a similar effect to hormones called. prostaglandins, which act as regulators of physiological processes responsible for the health and proper functioning of our body. Prostaglandins can be found in almost every tissue and to support the work of inter alia cardiovascular system, immune system, nervous system and brain, reproductive system. 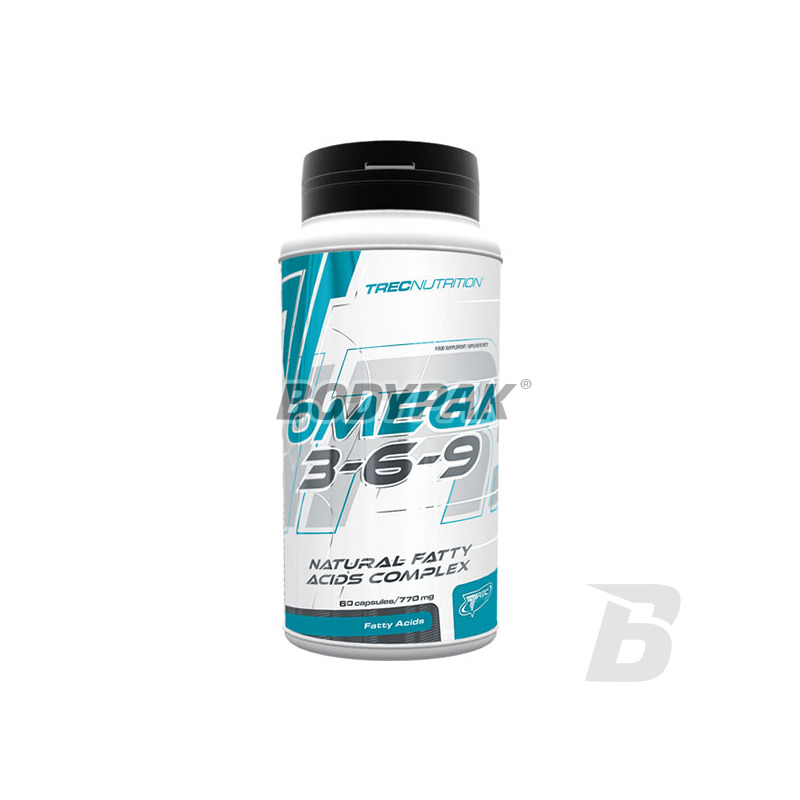 TREC OMEGA 3-6-9- your source for healthy fats! The recommended daily allowance is 3 capsules during or immediately after a meal. The preparation drink about 300 ml of water. The product is best applied systematically over a period of 6-8 weeks. Składniki: olej z ogórecznik (Borago officinalis)[20% GLA], otoczka kapsułki (glicerol, żelatyna, olej słonecznikowy, olej lniany (Linum usitatissimum)[50% ALA], olej rybi (18% EPA, 12% DHA), sprzężony Kwas Linolowy [80%], witamina E (D-alfa-tokoferol). Super przyswajalność, bardzo dobra cena - polecam!